Hello, my name is Karaline Roger, who am I, right? What is so special about me or my life that I am writing a story for you? Well, I was a normal person with a very ordinary life, until everything drastically changed after a very unnatural incident. You must be wondering what have possibly happened to change a life. This is an incident from 2007. My life was pretty amazing until one fine Sunday, I don’t know if I can still call that particular Sunday fine, but since then my life has totally changed. The weekend was here my husband and I decided to visit a historical location along with our 3 years old daughter Madeline. I being a Bengali born and brought up in Bangladesh had a huge interest in British culture as well as history. I came to London 5 years back to get my Law Degree, met my Husband James Roger here, fell in love and got married. Everything was happening so quickly that it seemed like a dream riding on an electric train. I am a Catholic by religion so my parents accepted my love interest. From the very month, I came in London, Tower of London was very visible from almost all the apartments I was in, but never in all these years, I never had a chance to visit the Tower. So, this Saturday I made my mind visit the Tower. I even managed to convince James. Saturday was here, James drove us to the tower. I knew there was a huge history buried behind the sturdy stone walls, but I was yet to discover more. When we finally arrived at our destination, the outstanding Norman Military architecture was standing right in front of me. The whole fortress palace gave a complete flavor of the 11th century. The entrance looked very extravagant. We were guided by Yeomen Warders knew as beefeaters. The palace was grand, it had a different section, some more lavish than other. I was walking around, looking at the walls trying to understand the carvings. My daughter was in her father’s arms. They were many cells, some were abandoned, and some were locked. I kept on moving from one cell to another, from one building to another. Finally, I reached a hallway, it was quite dark; I could barely see through, when I turned back seeking for my husband, I realized, he was not there. I looked around and no one was there. I was so lots of looking at the walls, I lost track of everything. I rushed to find my way back out of that specific tower. But I felt someone passed behind me. I turned around and saw a woman passing, I could only see her gown. I went inside to talk to the woman. I finally found a woman who was now standing right in front o me. She was wearing an old-fashioned gown; there was a light falling on only the lower portion of her body. She stepped towards me, now she was more visible, the light was gradually falling on her upper body too. And suddenly what I saw is, is, it was a headless figure. Yes, the body did not have a head. That was my last memory in that particular place, as I immediately fainted. When I came into sense, I saw myself in the garden with my husband trying to wake me up. When I asked him, I did I reach the garden, he told me, some tourists found me lying in a dark cell. I didn’t tell my husband about the whole incident because I thought he might not believe my words, I myself could believe in my own memories. For a while I considered myself to be a hallucination. After I came home, I sat with my laptop and googled ‘The Tower of London’. 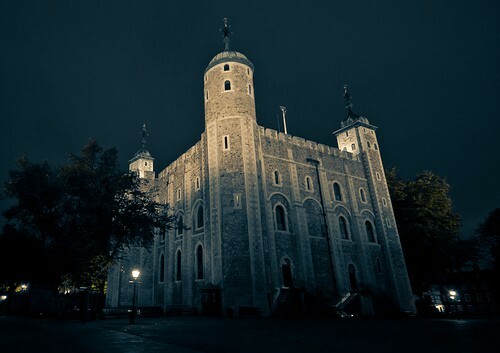 I scrolled few search pages and discovered, The Tower of London is listed as one of the most haunted locations which I had no clue about. I continued reading about the tower, about prisoners in the tower, the executions that took place in the tower. One of the most discussed execution was of Anne Boleyn. She was the second wife of Henry VIII and the Mother of Queen Elizabeth I. Henry VIII had a long list of 6 wives. And Anna Boleyn was his second wife, who was ones her love interest. He divorced his first wife Catherine of Aragon to marry Boleyn. Henry VIII and Boleyn had a love affair for about seven years, yet after the marriage of only 3 years, Boleyn was executed by king’s orders. He was accused of conspiring against the king. Some sources say, it was the king’s strategy because he soon fell in love with another woman Jane Seymour, whom he wanted to marry, therefore he decided to take such a step. It was an utter injustice which took place; Boleyn was supposedly executed so that Henry VIII could marry Jane. It is said that Boleyn is still seen in the abandoned halls of the tower. But my query was, how did I reach that hallway at the first place, how did I return to a cell, why was I the only one to see her that day. What was the connection? When I traveled deep into it, I came to notice the similarity. Anna Boleyn was married to Henry VIII on 1533 and got executed on 1536, which means 3 years of marriage. I was also married for 3 years. Her only daughter Elizabeth I was also 3 years old when she died, my daughter was also almost three years old. I thought there must be a message behind this whole incident. I had to go back to the place to look for all the answers and if I told James about it, I knew he wouldn’t allow me to go. It was Sunday; I made an excuse of going to the mall. I went back to the Tower of London. I didn’t know how to find Boleyn, but I knew she would find me herself. I went inside and kept on walking and stopped when I entered a deserted spot again. I was going return back, when I saw two boys of same age standing in front of me, dressed like the children of reputed families from the 15th century. They reminded me of the missing princes who were also murdered. I understood that there were asking me to follow the, So I did follow them, suddenly they disappeared. Later I understood, I was standing in the apartment where Boleyn evidently spent her last days. I immediately understood what was all these about. I rushed back home, I was unsure of what I believed. I went back home, my husband was not at home, he left Madeline to the neighbors’ place. I didn’t understand, how could he be so irresponsible. I trusted my husband with my life, but maybe the spirit of Boleyn was just trying to indicate this was a foolish thing to do. The whole supernatural incident shook my trust towards my husband. For a while, I was regretted visiting the Tower. I waited for him to come back home, I inquired where he was, and while replying he stammered. I snatched the phone from him, and yes, he was cheating on me. It was like my world broke apart. He apologized several times, but I could never forgive him for what he did. I divorced him on 2009 and got the custody of my daughter. Maybe I would have never known what was happening behind my back if I never went to the tower. Sometimes spirits do for us more that what living people do.